Most of us love taking quizzes. We love finding out more about who we are, where our strengths lie, and how we can improve. Whether it’s learning which Hogwarts House you’re most likely to live in or understanding your communication style, quizzes help us self-actualize and understand how we compare to others. 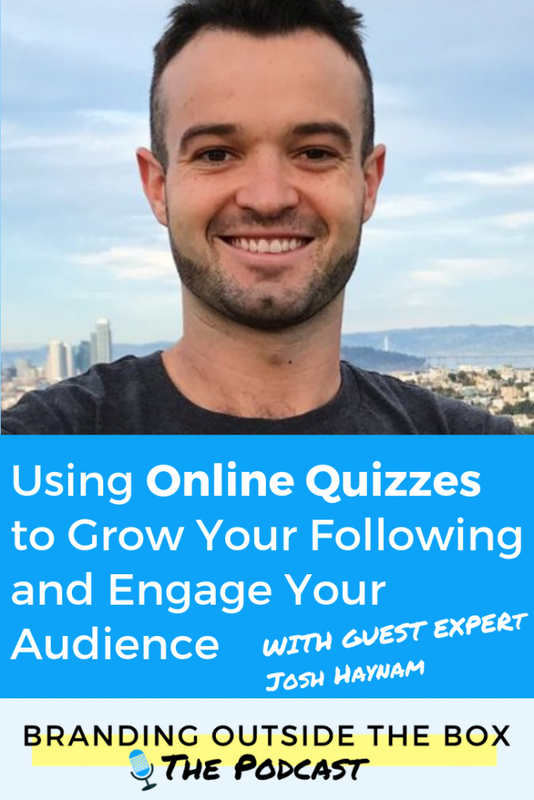 Start using quizzes to grow an engaged following! This is why online quizzes have proven to be one of the most effective lead-generating tools, and are used by thousands of entrepreneurs and corporations. 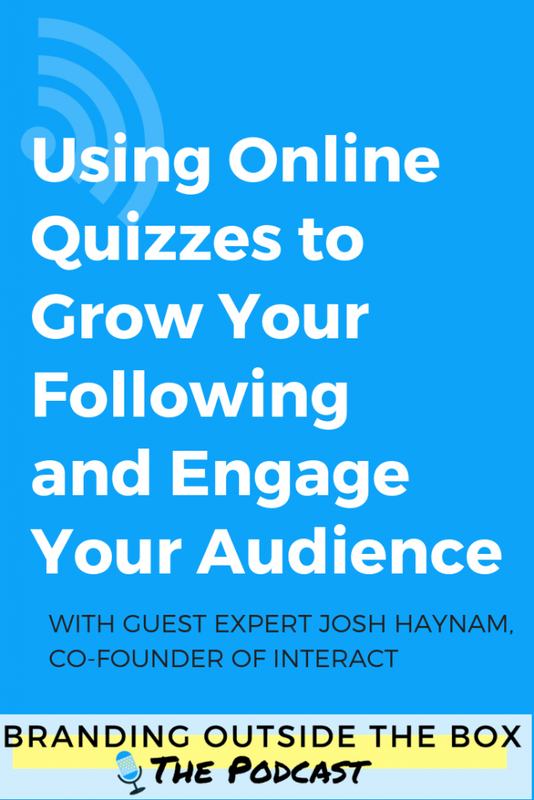 It’s also why Josh Haynam co-founded Interact, a tool for creating online quizzes that generate leads, segment your audience, and drive traffic to your website. 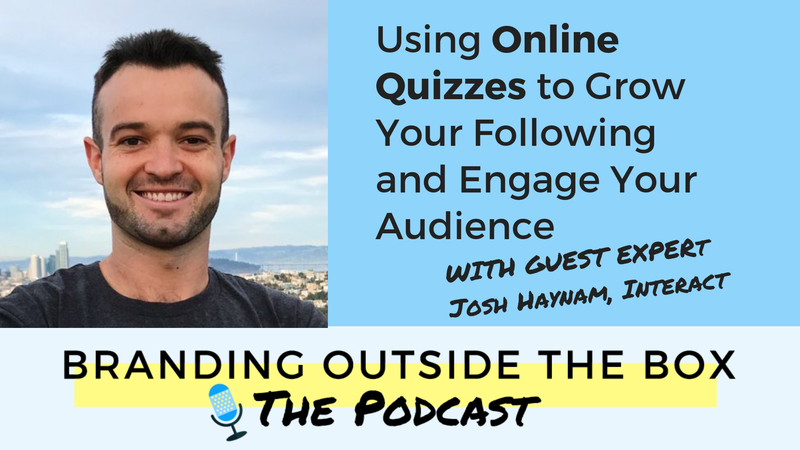 In this episode of the Branding Outside the Box podcast, he shares his branding journey, how he established his corporate culture, and best practices for entrepreneurs like us to utilize online quizzes. As I mentioned on the show, I am an Interact Partner and receive a small commission when you register through my link, at no cost to you of course. Being a partner means I utilize Interact for my online quizzes and have been nothing short of delighted with their platform. I wouldn’t recommend them otherwise. Sadly, the What Type of Shrimp quiz from Red Lobster has been taken down. I know you share my disappointment. But you can remedy that by making your own quiz over at Interact!